Intel is alleged of infringing the name of a US-based company by using the Duo Core naming on its newly released processors. The company with the name of DualCor has filed a legal case against Intel to stop it from continue using Duo Core wording in its marketing campaign and all the related business collaterals. Although the name is not exactly the same, but the pronunciation may cause the confusion to the consumers. DualCor was established in 2000 with the name of GCVI Inc. and had changed its name to DualCor Technologies in 2003. 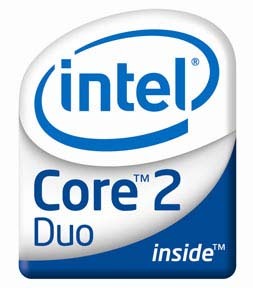 According to the filing, the company accused that Intel would have aware of its name but still decided to name its new dual processors as Duo Core since the initial launching back to 2006. In this case, it may have the intention to cause deception to the end consumers of its well established brand. Although DualCor is just a small company, but it has proprietary technology emphasizing on multiple CPUs integrated together that enhance the processing efficiency significantly. Besides requesting the court to stop Intel from using the Duo Core naming, the company is also demanding for a million dollars of compensation for the alleged infringement. Intel has not responded to this officially but we believe that the chance of renaming its Duo Core processor is almost impossible. Anyway, DualCor would be able to gain good publicity during this alleged action, even though it may lose at the end.